They cover the subject with more details and explanation. These Java books are my personal favorites and whenever I get some time I prefer to read them to refresh my knowledge. Though I have read many of them already, like I have read Effective Java almost 3 to 4 times, I have always learned something new. They are kind of best Java books available today and equally useful for beginners, experienced and advanced Java programmer. It doesn't matter whether you are completely new in Java or doing Java programming for 5 years, you will definitely learn a lot of new things by going through this book. Having said that not all book is equally suitable for all programmers, for Java beginners, Head First Java is the best book to start learning and for advanced Java developer, Effective Java is the good book to start with. Here is my collection of Java books, which I suggest to every programmer who wants to learn Java. It contains books for both beginners and experienced programmers having 2 to 5 years of experience. It has books to cover different areas of Java e.g. Core Java Fundamentals, Java Collection framework, Multithreading and Concurrency, JVM internals and Performance tuning, Design Patterns etc. Head First Java is the best Java book for any programmer who is new in both programming and Java. The head-first way of explanation is quite a phenomena and I really enjoyed whenever I read their books. The Headfirst Java covers essential Java programming knowledge about class, object, Thread, Collection, language feature like Generics, Enum, variable arguments or auto-boxing etc. They also have some advanced section on Swing, networking and Java IO which makes them a complete package for Java beginners. This should be your first Java book if you are learning from scratch. In short, the most interesting Java programming books for beginners which is equally good for intermediate Java developers as well. Btw, if you prefer online courses over books then you can also check out Udemy's Complete Java MasterClass course. It's a free course and you can also have a 10-day free trial to get the benefit of other Java programming courses. Head First Design Pattern is another top class Java book from Head First lab, I guess, this is so far their best title. When I started reading this book back in 2006, I didn't much about design patterns in Java, how they solve common problems, how to apply design pattern, what benefits they provide and all sort of basic things but after reading this Java book I benefited immensely. There is the first chapter on Inheritance and Composition, which is simply fantastic and promote best practices by first introducing a problem and then the solution. They also have lots of bullet points, exercises, memory maps which help you to understand design patterns much quickly. If you want to learn core Java design patterns and Object oriented design principle, this is the first Java book you should refer. Head First design pattern is written by Kathy Sierra and team. Btw, If you are looking for a course on GOF or object-oriented design patterns, I suggest you check out Design Pattern Library, one of the best course I have attended on design patterns so far. One good news about this book is that the new edition of this book is also updated for Java SE 8, which will teach you how to develop classic GOF design pattern using Java 8 features e.g. lambda expressions and streams. Effective Java is one of the best or top Java books in my record and most enjoyable as well. I have high regards for Joshua Bloch (writer of this book) for his contribution in Java collection framework and Java concurrency package. Effective Java is best for a seasoned or experienced programmer who is well versed in Java programming and wants to share their skill by following programming best practices, Java best practices and eager to listen from someone who is contributed in Java development kit. Effective Java as book scores high on quality, content, and way of explanation. Reading this Java book is a pleasant experience. Another important point of Effective Java is Item based structure which breaks the whole book in small items and every Item is complete in itself, so you can read this book while traveling or short duration as well. On contents, Effective Java is a collection of Java programming best practices ranging from static factories, serialization, equals and hashcode to generics, enum and varargs and reflection. This Java programming book almost cover every aspect of Java in slightly different way than you are used to. 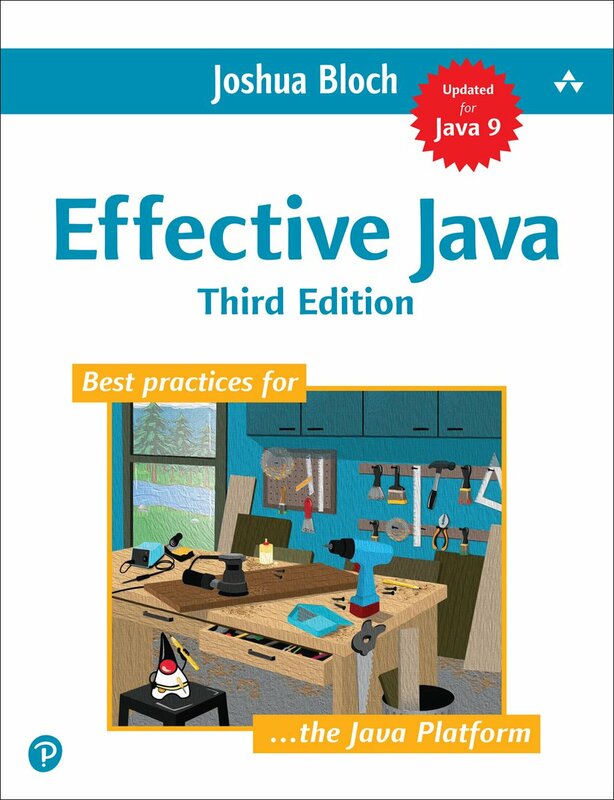 The good news about Effective Java is that, finally, after 10 years of long wait, the Effective Java 3rd edition is coming soon, hopefully before 31st December 2017. This edition will cover features introduced in JDK 7, 8, and 9, which was released this year in September. It will also have a full chapter on lambdas and Joshua Bloch mention in his twitter channel that he may revise Concurrency chapter if time permits. I have already pre-ordered this book on Amazon and just can't wait to see it in my hand. Java Concurrency in Practice is another classic from Joshua Bloch, Doug Lea, and team. Probably the best Java book in Concurrency and multi-threading and one of the must-read for core Java developers. 1) This book is very detailed and captures minor details of multi-threading and concurrency as well. 2) Focus, instead of focusing on core Java classes this book focus on concurrency issues and problems like deadlock, starvation, thread-safety, race conditions and then present ways to solve them using Java concurrency classes. This book is an excellent resource to learn and master Java concurrency package and classes like CountDownLatch, CyclicBarrier, BlockingQueue or Semaphore. This is the biggest reason I like to read this Java book and read again and again. 4) Explanation: the book is good on explaining what is wrong and why its wrong and how to make it right which is essential for Java book to succeed. In short, one of the best book to learn concurrency and multi-threading in Java. The content is definitely advanced from a beginner's perspective but surely, a must-read book for experienced Java programmers. Java Generics and Collection by Naftalin and Philip Wadler from O'Reilly is another good book on Java, which I initially forgot to include in my list, but including it now as requested by many readers. I like this book because of its content of Generics and Collections, which is core areas of Java programming language. Strong knowledge of Java Collections and Generics are expected from any experienced programmer and these books help in that area. It explains each of Collection interface e.g. Set, List, Map, Queue and their implementation and compares how well they perform in a different situation. I really loved their comparison chart at the end of each chapter, which gives you a good idea about when to use a particular Java collection class e.g. ArrayList, HashMap, or LinkedHashMap. Another good book in Java to learn about JVM internals, Garbage collection, JVM tuning, profiling etc and I highly recommend every senior Java developer to read this book. This is also one of my personal favorites. As we are moving gradually started from beginners level to intermediate and senior level. Java performance Book is all about performance monitoring, profiling, and tools used for Java performance monitoring. This is not a usual programming book, Instead, It provides details about JVM, Garbage Collection, Java heap monitoring and profiling application. I loved their chapter on JVM overview and it's a must read to learn about JVM in simple language. Just remember this Java book is advanced in nature and expect that reader has experience in Java. Both beginners and an intermediate programmer can benefit from this book but Its good to have some Java experience under your belt before reading this book. So far best Java book on performance monitoring. This is another, must read Java book if you are serious about performance in Java programming language. Update: There are a couple of new books available in Java, which covers JDK 1.7, to find out latest book on Java performance e.g. Java Performance, The Definitive Guide by Scott Oaks, which is certainly worth checking out before buying this book. 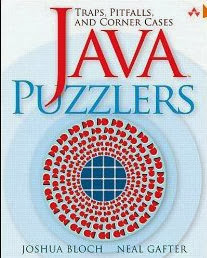 Java Puzzlers is another worth reading Java book from Joshua Bloch, this time with Neal Gafter. This book is about corner cases and pitfalls in Java programming language. Java is more safe and secure than C++ and JVM do a good job to free the programmer from error-prone memory allocation and deallocation, but still there Java has corner-cases which can surprise even experienced Java programmer. This Java books presents such Java pitfalls and explains them in detail. A good Java book if you love puzzles, You can even include many of these in core Java interviews to check how deep their Java knowledge is. I don't rate it as high as "Effective Java" and "Java Concurrency in Practice" but still, you can give it a go, particularly to check your knowledge about Java and its corner cases, which will help you to answer some of the tricky Java questions from interviews. In order to get most of this Java book, tries to solve the puzzles by yourself and then look into explanations to make your knowledge more concrete. Another good book on Java programming and design principles from Head First series. Head first Object Oriented Analysis and design book can be read in conjunction with Head First Design patterns. This book focuses on Object-oriented design principles like favor Composition over inheritance, programming for interface than implementation, DRY etc. One part of learning Java is writing good code and following best practices and this book is great in educating programmers about them. Knowledge gained from this book is applicable to many object-oriented programming languages and will overall improve your understanding of code and OOP design principles. 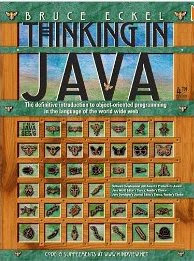 Thinking in Java book is written by Bruce Eckel who is also the author of Thinking in C++ and he uses his unique style to teach Java concept. Many would agree that this is one of the best Java book and strength of this books are there to the point and intelligent examples. This is one of the complete books in Java and can be used as a reference as well. There is a chapter on Java memory mapped IO from Thinking in Java which is my favorite. I would say this is another Java book which demands space in Java programmer's shelf and must read Java book for beginners. If you don't like Head First teaching style and rather need a beginners Java book with plain old example style, Thinking in Java is a good choice. It is detailed, matured and frequently updated, but, if you need more choices, you can check out these core Java books for beginners as well. This was my list of top Java programming books and I would say best of a lot. I have read all the books, some of them I am still reading and a couple of them like Effective Java and Head First series, I have read a couple of times. Many programmers ask me about which books they start, which Java book they read now. I hope you will find some good Java books in this collection. P.S. - If you are looking for some FREE Java books which are available to read online or download as PDF, then see my another post about 10 Free Java books to learn Programming. P.S. - If you are looking for great books to learn the latest version of Java i.e. Java 8, then you should see my another post about 5 books to learn Java 8. Both of them must be read at least one time in life by any one who claims to be Java developer, agree ? Out of these which one is the best book to learn Java programming ? If I have to start learning Java without any programming experience which one is the best Java book ? Which one is best Java book in your opinion? I will say Effective Java , but that is not best Java book for beginners, only for experienced Java programmer. Best Java books for beginners to learn Java programming is still, Thinking in Java. I was searching for a good list of Java programming books from long time, which is easy to understand and doesn't bogged you down with its weight, many of these Java books I find really interesting to read. Which book is best Java programming book for beginners? By beginners I mean who doesn't know programming or coding. Nice collection..Thank you for sharing. @Rohan, Please grab Head first java to start with. Also, if you want deep understanding of objects then go for first few chapters of Thinking of Java. I 100% agree with your #1 choice, it is a great book and has served me well, the explanations are easy to follow and the book keeps you engaged. It's deffinitely worth buying! If you have to suggest just one book, Which one would be the best Java book in your opinion? One book, which is missing is Java Generics and Collections. I found Murach's Java Programming book to be the best. Clear & precise, with step by step guidelines. It's is like instructional manual format which make it very easy to understand. I am sure you might find it beneficial even if you are complete new to Java. 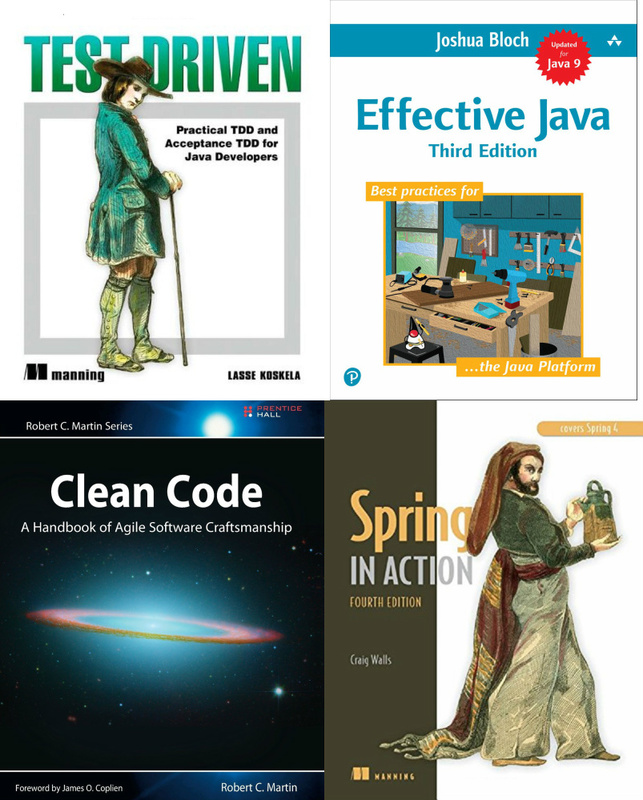 My list of must read books for Java developers is slightly different than yours, as it contains some classical books from design and software development in general. Could not find the main class: frog.class. Program will exit. Only book I recommend to any Java Beginners is "Sams teach yourself Java". This is by far the best Java book for beginners, it's lean, thin, contains all a beginner wants to know and gets ball rolling quickly. No beginner wants to bogged down with too much detail, everyone likes to see small things working together and taking towards big things. Sams Series are well known and Sams teach yourself Java doesn't disappoint either. Sir, Can you suggest me that which book i should read first- Head First Object Oriented Analysis and Design or Head First Design Pattern. I'm confused. Please give me your opinion . 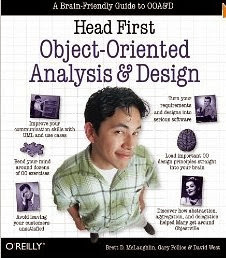 Read Head First Object Oriented Analysis and Design first then read Head First Design Pattern. Former book is more fundamental as it focus on basics, key principles and concept like Encapsulation, Polymorphism, Abstraction and principles like programming for interface than implementation, encapsulating what changes etc. What is a good book to start learning Java for someone with some programming experience? I have done some programming in college and worked as C++ developer for 6 month, now I want to learn Java? How difficult it would be, which books should I take? Can anyone suggest some advanced Java books here? I'm looking to expand my knowledge of Java and I'm wondering if there are any intermediate to advanced level Java books that focus on using language features in simple ways. 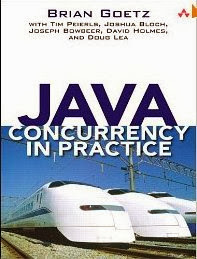 I've already read through Effective Java and reading Java Concurrency in Practice. Any recommendations? Sir can u suggest me that which one book I prefferd first of java. Lazy people is amazingly cynical. There are a lot of questions here asking things like "Ok, but what should I read first", or even worst, "...but if you could say only one book, which one should I read". They are not only showing how low their ability to study or read is (and want a quick and easy solution), but they are showing how unable they are to even read this very short article, because if they did, they would not have to ask those questions. do not use .class while running the program. use only " java frog"
Beginning Java Objects From Concepts to Code by Jacquie Barker is very good book. Keep the Good Work, It helps a Lot ! where can i download these books, for free? @adil, if you have basic idea aobut Java programming and you want to become expeort then you need to refer multiple book. As a senior Java developer, you should be good at multithreading and best book to learn multithreading and concurrency is "Java concurrency in Practice". 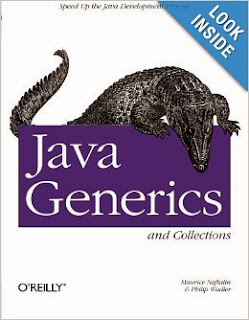 Similarly for generics and Collection best book is "Java Generics and Collection" and for JVM internals best book to read is "Definitive guide of Java performance by Stock Oaks". Once you read those book, you will stand outside crowd of Java developer, who has not read a single book yet. @Anonymous, a good for programming problem in Java is "Core Java Volume 1 and 2" b Cay horstmann. The book is not only good on exercise part but also on theory and completeness. If you are looking for nasty puzzles then you can also read "Java Puzzlers", good read even if you are working in Java for 10 years. hii ,i need to know that if effective java covers algorithms part or not pls help!!!! above mentioned books might be good but believe me i didnt knew what programming is or what computer is and i only read 1 book which made a lot of difference is “Java How To Program International Version” by Deitel Paul and Harvey Paul. no comparison but this book is simply the best. if you want to be a programmer and really do coding go buy this book. it is great book for beginner, expert, shares in-depth knowledge in an easy-to-understand way. has all the algorithm and stuff as well around 1400 to 1600 pages on core java is a priceless book. it repeats a lot of stuff which helps to grasp and remember the concepts very well and easily. believe me i went nuts looking for books on this planet and went to lots of professors seeking there help to understand what a class and object is this book did it in just few minutes. go get it and enjoy coding. hope atleast someone of you go and atleast give a look i bet you gonna love it.... its a priceless advice for free. dont forget to donate incase you become a good programmer. This book contains the most complete and up-to-date resource on Java. A must-have desk reference for every Java programmer. It is the one-time reference that provides the solid introduction to all the concepts. It is written purely from the programmers' point of view that contains hundreds of examples covering every aspect of Java. This is one of the best books for the java beginners. Written in simplest language with the most basic examples. If you are interested in understanding the use of Java for Programming, then this is the book for you. Head First java is one of the best book to learn Java even after so many years. Cay S. Horstmann has released a new core book last year, Core Java for Impatient, which covers Java SE 8 as well. Given the writing skill and explanation skill of Cay S. Horstmann by reading Java SE 8 for Really Impatient, Core Java Volume 1 and 2 and Scala for Impatient, I recommend this book to any new developer starting with Java. Head first java is best book. Out of three or four Java beginner books, I've personally enjoyed Core Java Vol I-II (by Horstmann) the most. However, I'd still like to try more whilst I'm learning the basics.